Stay Montana is a family run team and a “service first” company designed to deliver enhanced owner value and inspiring guest experiences. 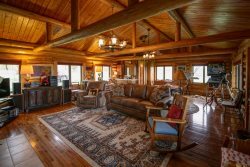 The team at Stay Montana has extensive experience and expertise and are excited to serve owners and guests of Big Sky, Livingston, Paradise Valley and Bozeman in Montana. Our goal is to be the leader in service delivery and value enhancement for our owners and guests by utilizing our years of training and experiences in the hospitality business. Stay Montana has deep ties to these communities. Having owned and managed rental properties in Big Sky and Bozeman for more than 15 years, our family has enjoyed many days of skiing, hiking, and fishing in the Gallatin Valley. Our staff members have over sixty years of hospitality experience and training in the ski resort, boutique, and branded properties including Ritz Carlton, Hilton, Marriott and Vail Resorts. We have expertise with hotel, condo, private residence, property owner association management, and reservation systems. We are knowledgeable about industry trends and are experts in destination marketing and sales strategies, distribution channel management, SEO, social media, and vacation home enhancement. We are passionate about being industry leaders in service, value, and loyalty. Let us treat your home like our home! Re-imagined Tiered Fee Structures Create A True Win! Win!